Reisha Perlmutter is an American artist, whose amazing hyperrealist paintings leave no one indifferent. Her inspiration comes from the childhood memories of the light and nature, alongside her growing up near the water. She turns the past into present experience, helping the viewers to connect with their senses that exist out of the comfort zone. Illumination with all its omnipresent energy and complexity deliberately evoke the feelings of the sensation and beauty. Painter’s works connect the emotions of the audience with places where time is meaningless, thus dominating its perception. The oil paints that she uses, bring their own dimensions to the works, by leaving a certain dose of imperfection. The artist was born in 1990 in Naples, Florida. Ever since she was young Reisha knew that one day she will become an artist. She first expanded her language and thought process at the Bates College in Maine. After two years, she transferred to the School of the Art Institute in Chicago, where she received an undergraduate degree in Fine Arts, with a focus on painting. There she was mentored by Susanna Coffey, who influenced her work very much. During this period she also had a one-year residency in Umbria, Italy. After graduation, Perlmutter attended classical French atelier painting and drawing courses at Studio Escalier in Paris and in the Loire Valley. The artist earned a Master of Fine Arts degree in figurative painting and anatomy from the New York Academy of Art. 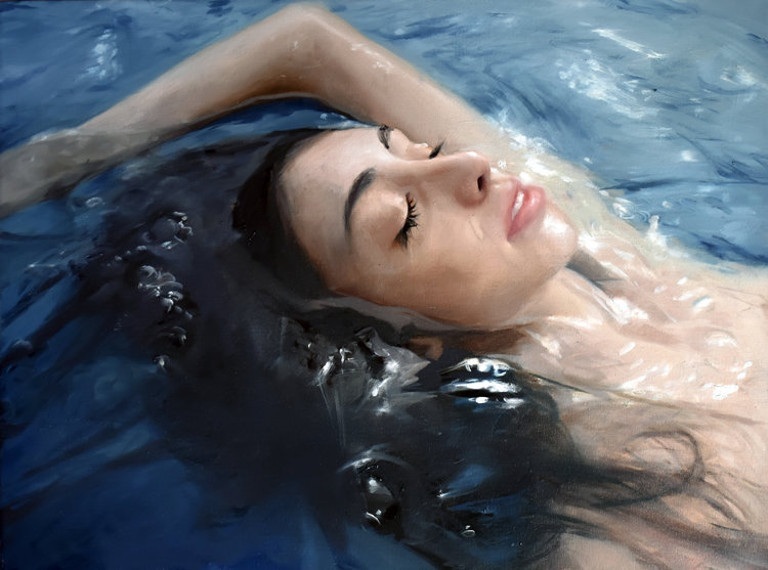 In her art, the author recreates realistic aquatic portraits, which show a self-portrait or a women’s face, immersed in water. Each painting represents a journey to the past, reviving the memories like the one when the light appears on the surface after the rain, or when the light’s golden aura shines over hillsides and facades of the medieval buildings. The series AQUA are inspired by her memories of the Gulf of Mexico, so she tries to keep the feeling of Florida last forever. Throughout these paintings, Reisha has been looking to create a new language that would communicate, and represent a connection with the environment, biology, and physicality. 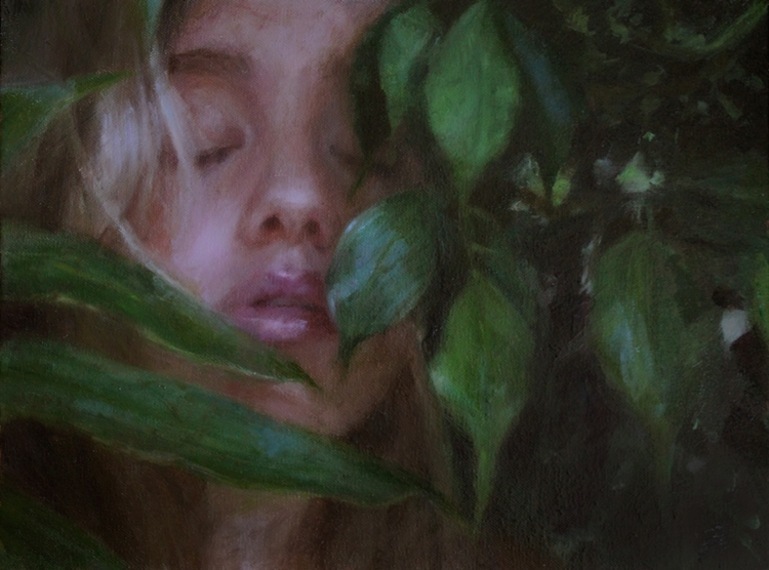 Hence, her works are actually a reflection of the relationship between people and nature. Perlmutter art allows people to feel and embrace the moment of tranquility and peace, and to experience sensitivity of the water. 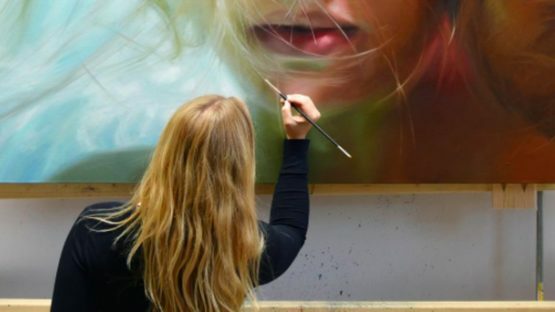 No matter what mediums she uses, the painter has mastered the technique, so that compositions look perfect, thanks to the amazing accuracy in execution. Her dedication to details has opened the doors to her pieces in collections around the world, like at the Wirtz Gallery in Miami, or at the Sullivan Galleries in Chicago. She is represented by the Roman Fine Art. The author lives and works in New York, USA.